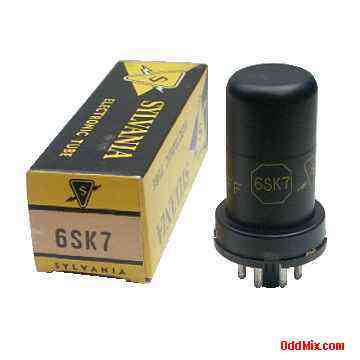 This is an original Sylvania 6SK7 Electronic Tube in its original box. A collector's special antique vacuum tube. Miniature type used as RF or IF amplifier in many different equipment. Excellent part for antique radio or television restoration. It is a NOS tube - New Old Stock, unused, boxed, excellent condition.